fastenings for extra protection from wind and rain. A slimmer, contemporary shape gives a fashionable look, with back waist tabs for an adjustable fit that's ideal for essential winter layering. Two practical front pockets offer plenty of room to carry essentials, with an additional zipped pocket to help to safeguard valuables. 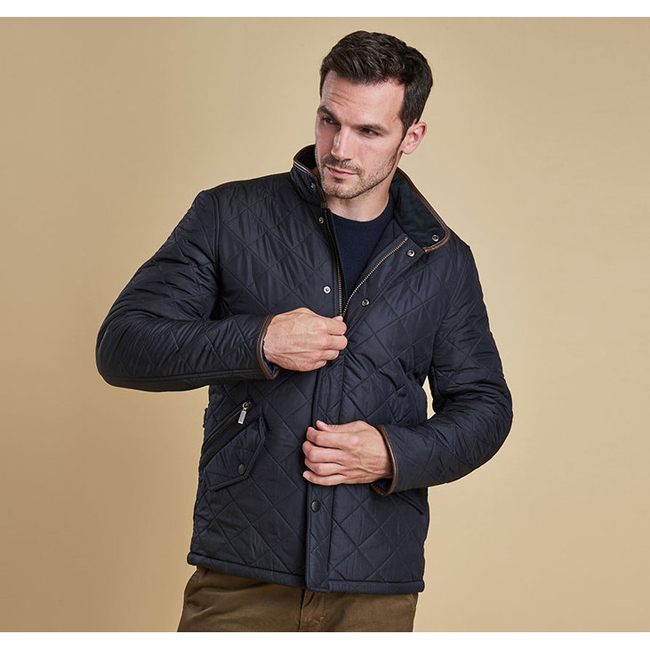 Available in a choice of four wearable colours, a stylish synthetic leather trim finishes the collar and cuffs, and tonal Barbour embroidery trims the pocket flap.